After a 10-month renovation, the New England Aquarium unveiled its refurbished Giant Ocean Tank – the renovation's capstone. 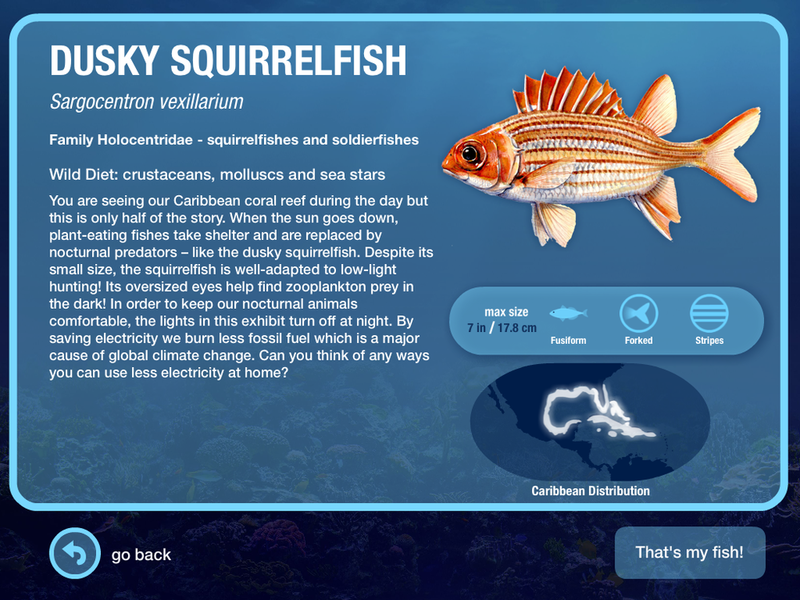 With the installation of an interactive and educational iPad app designed by FableVision, the classic Boston attraction offered something other aquariums haven't imagined. The aquarium mounted six iPads around the Giant Ocean Tank so that aquarium goers could identify the fish and other animals in this central exhibit.